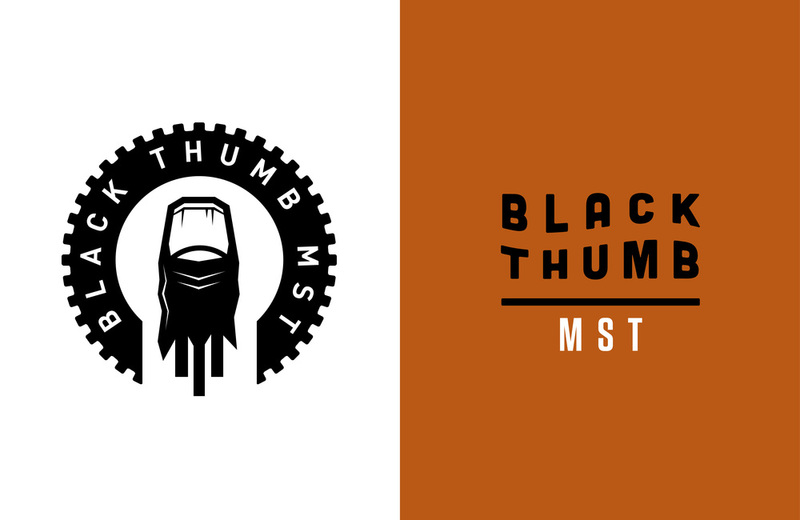 Work for Black Thumb MST, an art-focused tattoo shop in Salt Lake City. 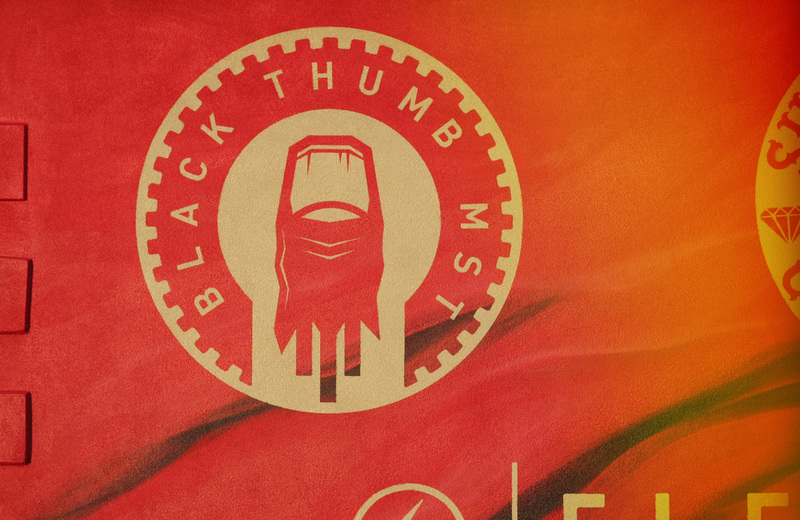 Logo marks were created in close partnership with the owner, an artist himself, and executed to the detail. VARIANTS: Additional marks and branding materials. MURAL: The finished logo was stenciled onto the exterior wall as part of a beautiful, distinctive mural.